1st Gowran Park (e), 2nd Fairyhouse (e), Leopardstown (3rd), 4th Wexford (e), Bellewstown (e), 5th Bellewstown (e), 6th Bellewstown, Limerick. McCutcheon and Keatley are names for the future. Congratulations to Evanna McCutcheon on riding the winner of the Ladies Derby at the Curragh for rookie trainer Adrian Keatley. 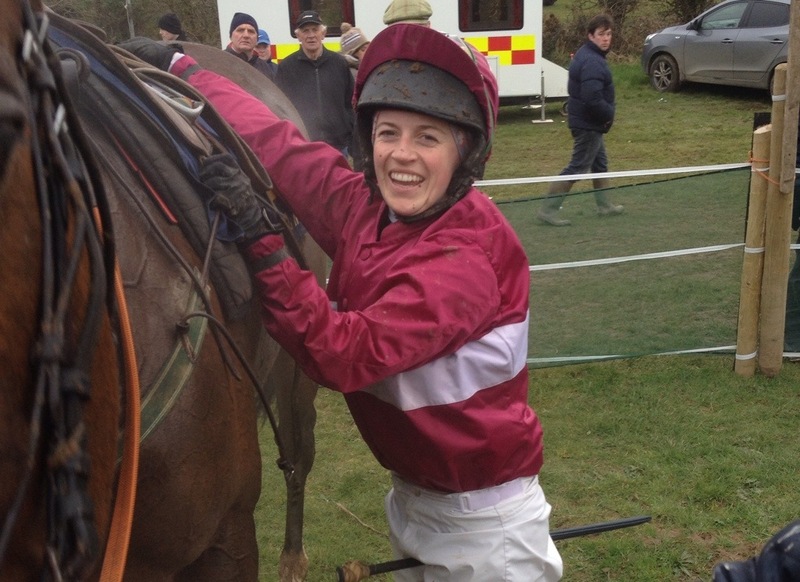 Winning the first race of her career as an amateur jockey on the track in Ireland Tipperary based McCutcheon a rookie trainer in her own right in addition to being a talented amateur jockey over fences saw off all competition today to record this famous win. With both herself and Keatley having already tasted victory in Britain as trainers this shared winner at the Co Kildare track marks both of them down as names for the future. Keatley doubled up as the winning owner this afternoon of the 5 year old winner Zeftan so it was all good news! With Aidan O’Brien saddling four winners at the track today, being added to by Jim Bolger, Roger Charlton and Sabina Harty the competition is intense so our two rookie trainers did well to get their names in the winners circle. Its Australia the Good rather than Australia the Great? What an extraordinary day at the Curragh, the 8/1 on chance Australia, beats four rivals home to take home the €725,000 first prize giving his trainer Aidan O’Brien his eleventh win in the Group 1 classic and his son Joseph claiming his second. With a media frenzy of superlatives being unleashed over the airwaves, on Twitter, Facebook, print and on blogs all lauding the 3 year old son of Galileo as “great” “the best ever” etc. etc. maybe we should all take a pull here on the bit and consider. I’ve no doubt that the classically bred horse is good, very good. With two Group 1 wins to his name in the Irish and Epsom Derby’s already, he looks like being the top middle distance 3 year old of 2014. His win at Epsom over 15 other runners including todays absentee Kingston Hill was a much measure than todays near farcical Dubai Duty Free sponsored event. Was he in truth ever going to be beaten by any of his stablemates today? Unlikely and so it proved, with Kingfisher and Orchestra, both sons of Galileo staying on to be second and third. The only other two runners, Ponfeigh a dual winner over a mile who looked out of his depth here, and Fascinating Rock who ran disappointingly at Epsom and needs a much softer surface than that encountered today just wouldn’t be a serious measure as to Australia’s ability today. A much talked up horse, his long term future is very much seen as a stallion and everything even down to his name will be used to maximise the euros and aussie dollars that Coolmore can generate in the Northern and Southern hemispheres. He will race on I am sure, probably at a shorter distance but he needs to beat the older generation comprehensively and regularly before all those superlatives can be justified! So for now it’s Australia the Good rather than Australia the Great! So just how many of these race days do you plan to get to? So the longest day of the year has past, the rain has started to fall yet again, so it really must be time for the Summer Highlights of racing festivals in Ireland ! According to a very glossy brochure distributed far and wide by GoRacing the Summer highlights really start this weekend with the Dubai Duty Free Irish Derby Festival. Over three days , with the Derby itself the racing highlight, the level of sponsorship is phenomenal with a fairly extensive marketing budget put in place to encourage a maximum attendance. The Curragh can struggle to feel warm and welcoming with the size of the whole set up conspiring to keep it feeling a little distant from mere mortals. They do try however and the quality and standard of racing is better than almost anywhere. I do cringe however at the efforts to “create” an event in and around the staging of the Irish Derby itself. The varied renditions of the ballad of Kildare have always left me feeling uncomfortable while the disjointed presentation ceremony really is better scrapped! With the high society meeting over, the month of July sees four festivals with Bellewstown, Killarney , Oaks day at the Curragh and Galway all being offered. Of course both Bellewstown and Killarney hold another Festival meeting in August so if you miss July you wont have long to wait!!!!! Bellewstown is one of my favourite tracks with a great setting , good racing and a wonderful atmosphere all adding to the race meetings. Killarney has prospered with the demise of the track at Tralee and now deliver two very attractive meetings made up of mixed cards from the 14th /17th July and the Rose of Tralee meeting between the 20th of August to the 23rd. A fine track , with racing offered at a near peak holiday time , how could it fail? I have always been amazed at the ability of Galway to draw such massive crowds with a seven day marathon now on the schedule. Of course the Plate and the Hurdle on the Wednesday and the Thursday have long been much sought after prizes for trainers, owners and jockeys. 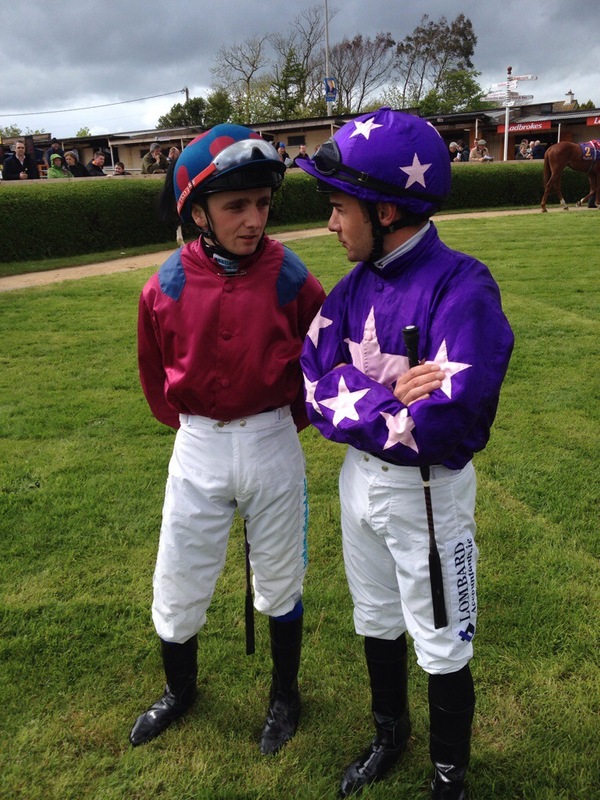 Inspite of all the other races on offer in the Irish Racing calendar these two are right up there with the Irish Grand National at Easter and form the centrepiece of the summer. With a level of sponsorship that any racecourse would kill for the meeting opens on the 28th of July right through to the 3rd of August . Wexford Racecourse stages a two day meeting on the 25th and 26th on July and while not Galway , winning form on the track at Wexford is often replicated at Ballybrit – so take note! Staying in the South East the track at Tramore has traditionally raced on the 15th of August, which has been an iconic date in rural Ireland for a long long time. With racing from the 14th to the 17th of the month the traditional two weeks of summer holiday is a wonderful excuse to race at least one of the days at the Co Waterford track. With a lovely mixture of flat and national hunt racing spread out over the evenings and afternoons this highlight of summer racing in the sunny south east continues to attract strong crowds. The month of September offers what could be described as the good, the bad and the ugly with Irish Champions Weekend, Laytown and Listowel all due to be staged. I jest of course, but Laytown, while still on the racing calendar really is only a shadow of itself with health and safety restrictions sanitising it nearly out of existence. They will race on the 4th of September on what is Europe’s only beach/ strand official race track. The newly created Festival of racing on the 13th and 14th of September the two day will be staged at Leopardstown and the Curragh. The Irish Champion Stakes and the Irish St Leger will be the highlight on each of the days but in my view it remains to be seen if it can attract a sufficient attendance. Mostly likely of course the money generated from TV rights and the sponsorship will be sufficient to make it a success! The Harvest Festival at Listowel from 14th to the 20th of September will bring the curtain down on the Summer Highlights with the Co Kerry track now a must go to venue. With the Kerry National sometimes just about balancing itself as the first major target of our winter national hunt horses the drawing appeal of the festival continues to impress. So just how many of these race days do you plan to get too? Fentons case has to be satisfactorily and transparently dealt with! So the Philip Fenton case rumbles on and on after todays ruling in Court. 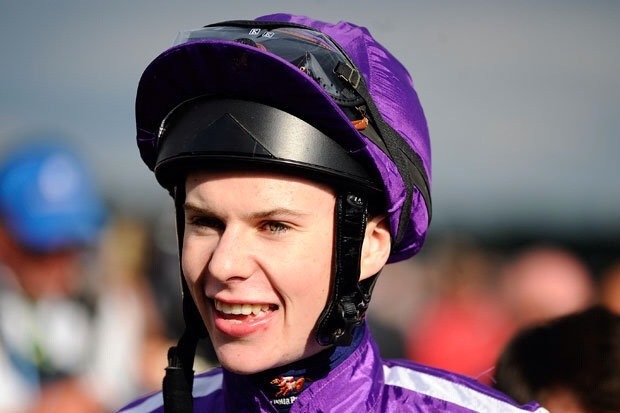 Fenton one of Irelands top amateur jockeys in his day and now a prominent trainer will see his case for alleged possession of banned substances continue in September. Judge Terence Finn made a ruling today that a right existed to prosecute with proceedings continuing in September. Following an inspection of Fentons yard in early 2012, by veterinary inspectors this case has rumbled on. It came to prominence in springtime just before the Cheltenham Racing Festival 2014 when it went to court. With Fenton at the time due to saddle a leading fancy in the Cheltenham Gold Cup in the shape of Last Instalment, he was strongly supported by the horses owners Gigginstown House Stud as to his innocence. With the British Horseracing Authorities bizarrely testing his festival runners prior to their running in March , the case itself was again delayed due to legal argument. With the judging promising to take it slowly! This story will run and run with no ones name or reputation benefitting unless it is satisfactorily and transparently dealt with. Which one of the Ballydoyle seven will win? The Curragh will be the centre of attention this weekend with the staging of the €1.25m Group 1 Dubai Duty Free Irish Derby. With 11 entries at latest count Aidan O’Brien has taken the precaution of supplying 7 of those including his Epsom Derby hero Australia. Just how many will actually turn up on the evening is unclear as the Master of Ballydoyle always plays his cards close to his chest. 7 of the current entry had run last time out at Epsom with Australia winning under Joseph O’Brien from Kingston Hill and Andrea Atzeni. With only a length and a quarter between them over the one mile four furlong trip the Roger Varian son of Mastercraftsman will be more comfortable at the Curragh. The ground in this part of the world is rock hard and with it currently good to firm on the track any water, be it rain or applied will be a help. Australia a classically bred son of Galileo, has always look like a horse that might be more comfortable racing over a couple of furlongs less with the Eclipse Stakes a real option. If he runs on Saturday he will take on another 6 horses which he beat on the 7th June with 3 of those coming from Ballydoyle! Just how competitive they really were on the day is open to question with none of them raising a serious gallop on the day in my view. Can you really see any of his stablemates beating him? Or to even think about beating him? Unless he doesn’t perform of course! So it looks like its up to Kingston Hill, Fascinating Rock, Ponfeigh or True Story to upset the plan. I fancied Fascinating Rock at Epsom but he didn’t run well, was it the ground or the course? Im just not sure. True Story could improve with the Manduro colt trying to build on his Dante run and Listed win, while Ponfeigh for John Oxx would be taking an extraordinary step up to win here. So its between Australia and Kingston Hill again and if both run it will be a great race. While it might just be wise to see what happens to the favourite and in his absence keep an eye on Geoffrey Chaucer as a winning substitute. 23rd Kilbeggan (e), 24th Ballinrobe (e), 25th Naas (e), 26th Tipperary (e), 27th Curragh (e),28th Curragh, 29th Curragh. Tattersalls Derby Sale Fairyhouse 25th/26th . Byrne lights up Wexford with a first career double. Wexford Racecourse on a bright and balmy evening has few equals on the racing circuit and last Wednesday it was seen in all its glory. Offering a seven race all National Hunt card the racecourse organisers must have been pleased with the good turnout on the evening. With €15,000 prizemoney in the Jog For Jockeys Handicap Steeplechase the days highlight went to one of only two winning favourites on the day with Big Generator winning for local trainer Paul Nolan. 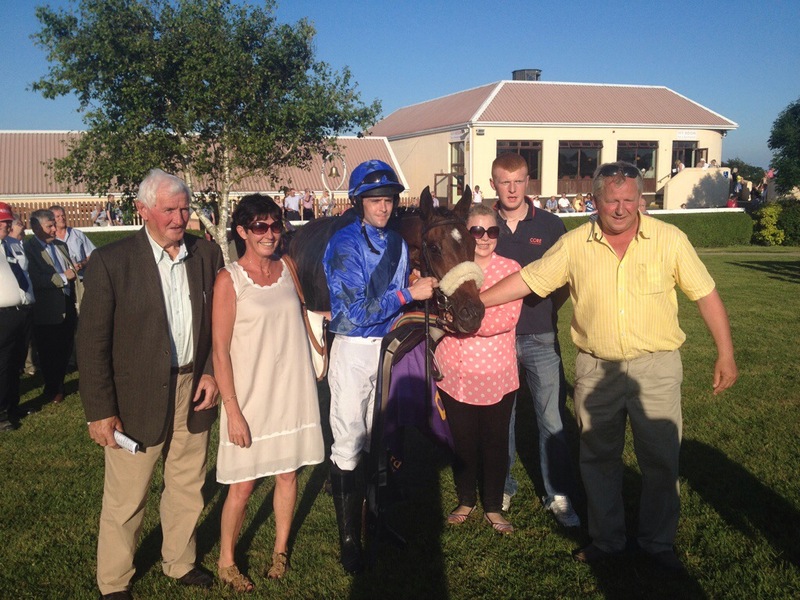 It was a particularly good evening for local yards as Larry Byrne who operates from Rathurtin, Enniscorthy sent half (two) of the four horses he has in training to run at Wexford and managed to score with both on the evening. Byrne has had more than a trouble or two himself over the years but he was overjoyed to train the first ever double of his career with Posh Frock and Key Account both winning at 20/1 and 9/1 respectively. Old Leighlin , Co Carlow based jockey, Brian Hayes got the leg up on the 5 year old Oratario mare Posh Frock in the 2mile 4furlong Mount Leinster Maiden Hurdle. With the Gigginstown hotpot Easter Hunt going off the 9/4 on favourite for Mouse Morris and Brian O’Connell, Byrnes mare was pretty friendless in the betting ring , but was nibbled at from 25s into 20/1. With JJ Burke setting the pace on Star Question , O’Connell was never that comfortable on the favourite for much of the trip. They did however hit the front over 3 hurdles out but had no answer when Hayes produced Posh Frock at the last to get past them and win by three parts of a length. Wearing a tongue tie, the former inmate of Jessica Harringtons Co Kildare yard had a nice piece of form to her credit in the past and managed to finally build on it here since moving to Byrnes yard. Byrne was his daughter Sarah were already in good form following the first but they were over the moon following the victory of Key Account at 9/1 in the Phelim Byrne Seasuir at Wexford Racecourse Handicap Hurdle. The 6 year old Key of Luck gelding added to his sole success on the track to date , at Kilbeggan in 2012, when leading all the way under a stylish ride by Martin Ferris to win at 9/1. Cloudy Morning who went off favourite here just never really got a blow in on the winner here when staying on in third place. Byrne was greeted my many well wishers on the evening following these victories and he promised that that only plan now was to celebrate! Paul Nolan was the most successful trainer at Wexford over the past 5 years way and above any others racing on Wednesday and that very good form continued when taking the evenings racing highlight, the Jog for Jockeys Handicap Steeplechase over 2 miles. 1 furlong. Saddling Big Generator for Coolamurry Stud supremo Jim Mernagh the 8 year old Generous gelding , was winning for the third time at the track, successful on this occasion with Robbie Power in the saddle. The well backed 2/1 favourite , a winner over hurdles last time out at Tipperary when springing a 16/1 surprise held off another course specialist Annie Other to win. With Araglen Lad setting the pace Robbie Power had Big Generator pretty close up to the lead and took it up two from home and they refused to be caught. Power had been in bad luck earlier on in the evening when he saw his winning ride on Shield being lost in the stewards room having won by an unextended 8 lengths. With only four runners in this €10,000 race Philip Fentons Bentelimar went off the 13/8 on favourite following two previous wins. With the Co Kilkenny based Brian O’Connell setting to lead every inch of the way on the Beneficial 5 year old they looked like doing just that until Power conjured a run out of the JP McManus owned Dylan Thomas 5 year old Shield at the last to pass the post at 7/4. With a discrepancy on weighing in after the race Shield and Power were demoted with the race awarded to Fenton ‘s Bentelimar owned by James Ryan. Shield ran well here but the indian file gallop didn’t help, yet he still managed to win, so keep him in mind for the future. 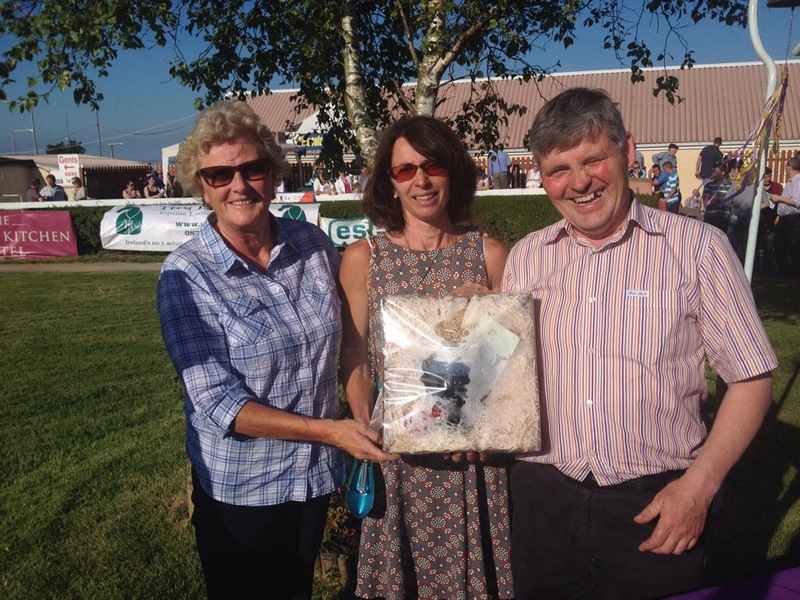 The Co Kildare based Madden family were out in force on the evening with their Ashkalani 7 year old Shake The Bucket finally opening his chase account in the Courtown Beginners Chase in the hands of New Ross man Ben Dalton. Second here at the corresponding in 2013, he last jumped a steeple chase fence in July of the same year but stripped fit enough here following a stint on the All Weather. The 5/1 winner was “Well in” according to winning trainer Niall Madden who trains the horse for his daughter the well known racing writer Sarah Ann. 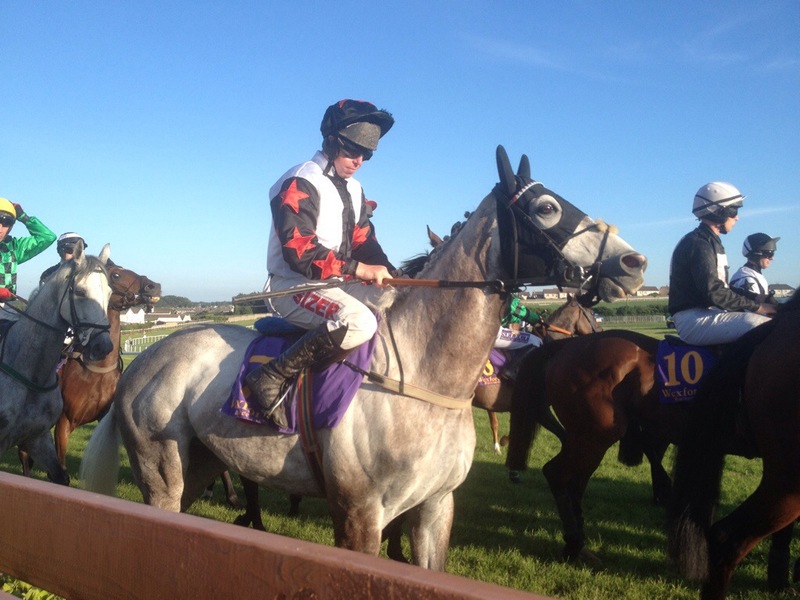 Co Kildare based Shane Nolan saddled his first winner at Wexford when springing a 25/1 surprise in the 2 mile Barrow Mares INH Flat Race with the 6 year old Alamshar mare Our Girl Naoise. With the ground officially good to firm it was interesting to see runners getting a cut into it following extensive watering during the week. With the last hurdle placed some distance up the track , the long run in did offer some hope of a driving finish on occasion. Ger and Mary Mullins didn’t have to endure such an outcome as their She Be Fine, a 6 year old Golan mare related to Beef Or Salmon ran out an easy winner of the 3 mile Hen and Stag Parties Maiden Hurdle under Shane McDermott at 10/1. Mullins who trains a small team at Doninga, Co Kilkenny offered his opinion ” That was expected, she was unlucky at Clonmel last time when she fell. She will get better and will knock more sport out of her”. 17th Sligo (e), 18th Wexford (e), 19th Leopardstown (e), 20th Limerick (e), Down Royal (e),21st Down Royal, Gowran Park , 22nd Gowran Park. Royal Ascot: 17th/ 18th/19th/ 20th/ 21st. 25 racedays offer an opportunity to put on your glad rags! Go Racing launched a glossy brochure early in spring time outlining the summer festivals for 2014 and the Ladies Days planned for the summer season. With every racecourse attempting to attract a few more racegoers the increase of organised days focussing on Ladies fashion has become well, fashionable! 28 race days have been scheduled and with the 3 meetings already having been held the 25 remaining ones are scattered liberally throughout the country over next few months ending in Listowel on the 19th of September at their Harvest meeting. So for all of you that have an eye for fashion and an interest in frocks and bling, the prizes on offer range from €150 Crescent Mall for the Twilight Racing at Limerick to holidays and vouchers with the chances that Champions Weekend at Leopardstown on the 13th September likely to trump them all once prizemoney is confirmed. Next weekend Down Royal will be busy as they stage their Summer Festival on the 21st with a great holiday prize on offer as part of their offering. While Littlewoods Ireland have their first day sponsoring Ladies Day at Gowran Park on the 22nd of this month with €2,400 on offer. With Roscommon, Wexford, Sligo, Kilbeggan, Tramore and Killarney all signed up for 2014 its a big commitment. When you see that Irish Derby Day on the 28th has a substantial package on offer sponsored by Dubai Duty Free it wont be just the runners in the Derby that will be pampered for the big day at the Curragh. With a whole mixture of competitions on offer from Dundalk on the 12th July, Killarney on the 17th, Tipperary on the 20th , Wexford on the 26th and Galway set to take centre stage on the 31st. The Festival at Tramore is the biggest racing festival in the south east with the Ladies due to take to the imaginary catwalk on the 16th of August with Downpatrick putting on its glad rags on August Bank Holiday in Northern Ireland on the 25th of August. Of course none of these days can be held without a celebrity input and 2014 is no different. Expect to rub shoulders with such as Norah Casey, Sharon Smurfit, Marietta Doran, Kathryn Thomas, Yvonne Keating and Celia Holman Lee throughout the summer. Days such as these are important to each and every racecourse and while many purists might frown at their inclusion anything that supports our racetracks should be supported. So Ladies the choice is yours, do you want to support racing and in the process win some really nice prizes ? 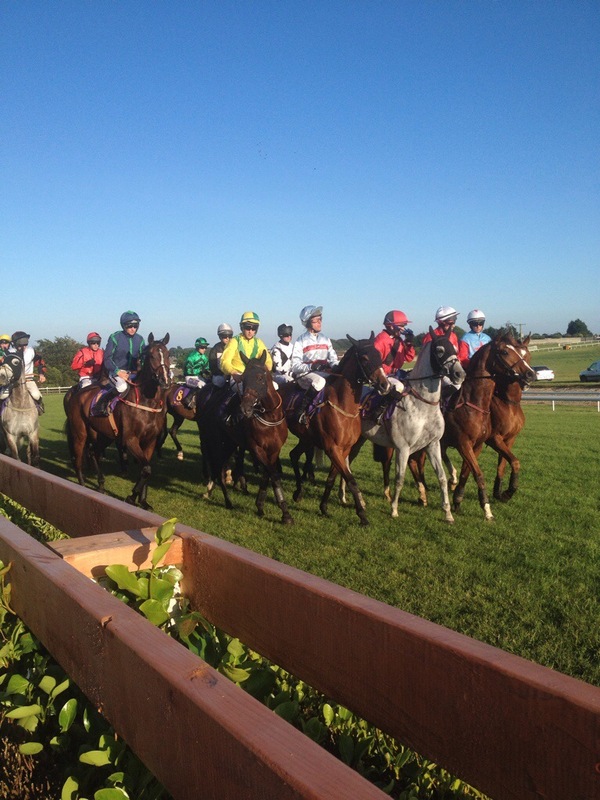 Check out your local racecourse and Goracing.ie to find out how you can participate.